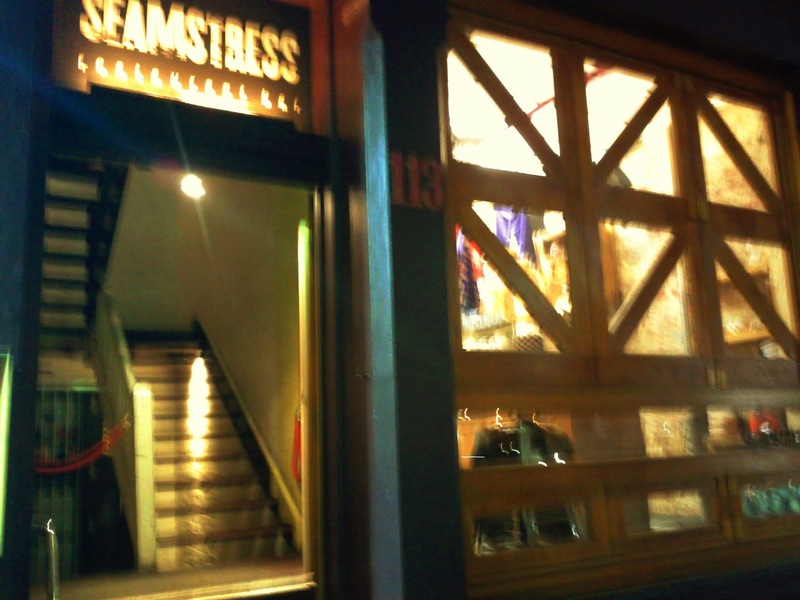 We visited Seamstress early on a chilly winter Wednesday evening, taking advantage of a booking via Dimmi which offered 50%off food! The building itself has an interesting 115 history, having housed a textile factory, warehouse and Buddhist monastery, before opening in it's current guise in 2007. 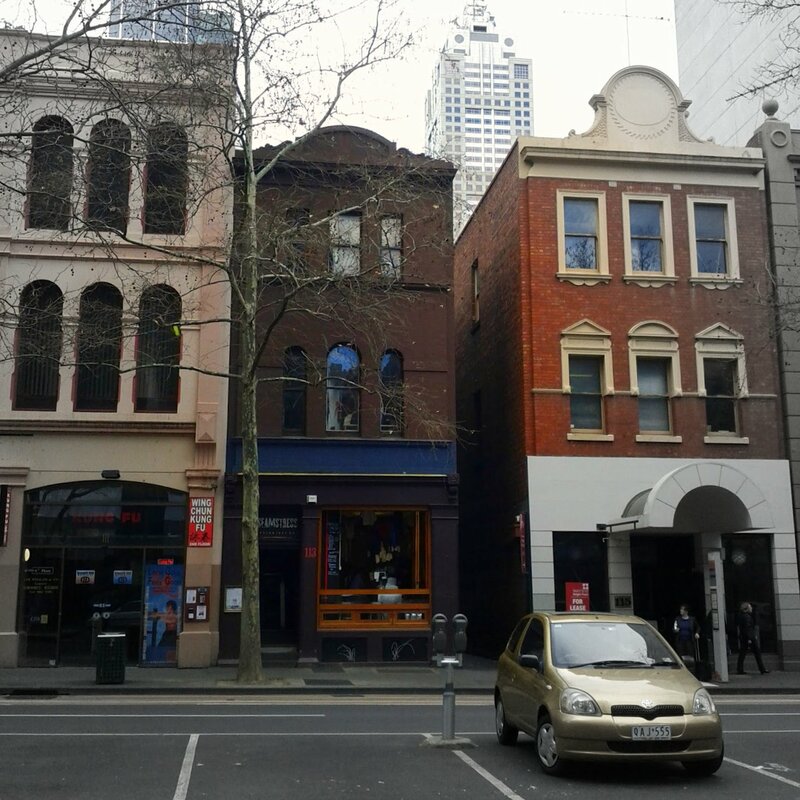 It is close to the edge of Melbourne’s Chinatown on Lonsdale Street, wit the Chinese museum just down a nearby alley. Up on the first floor, where dining takes place the décor mixed stripped walls, smartly set wooden tables and a cloth covered ceiling and hanging 'vases' of flowers. 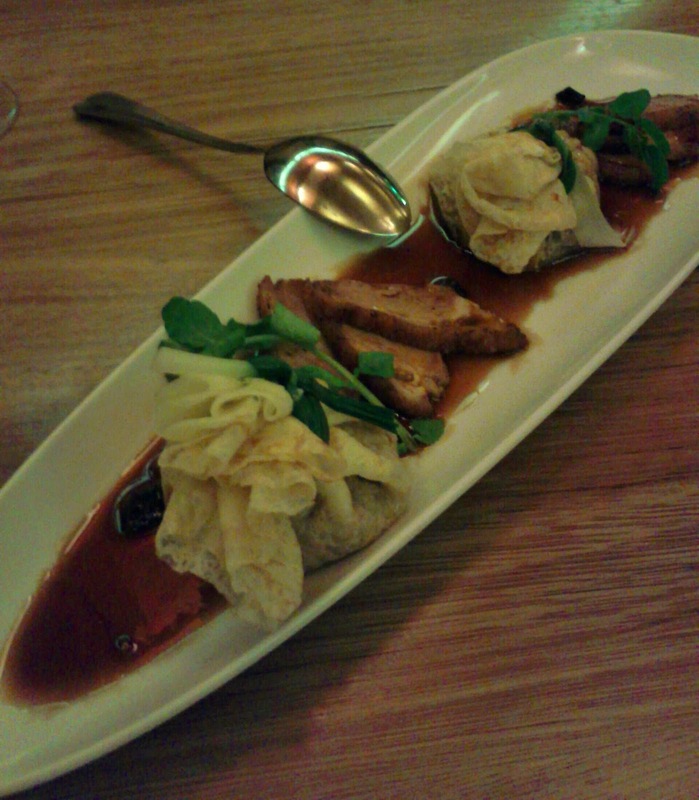 We perused the 'winter collection' menu offering dishes with a variety of asian influences, all available in three sizes. Once we'd made our picks, our friendly and knowledgeable waitress guided helped us get the suitable combination, of mostly small selections. 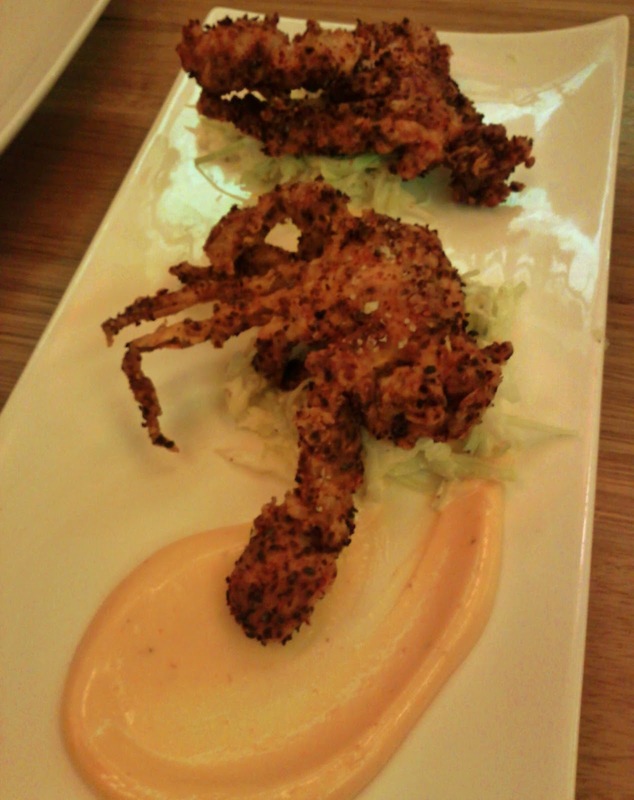 The first to arrive was the crisp soft shell crab, on an apple & wombok s'law with sriracha mayonnaise.The coating providing crunch and flavour that nearly trumped the crab inside, the salad was fresh and crisp too, with the plenty of spice in the mayo. 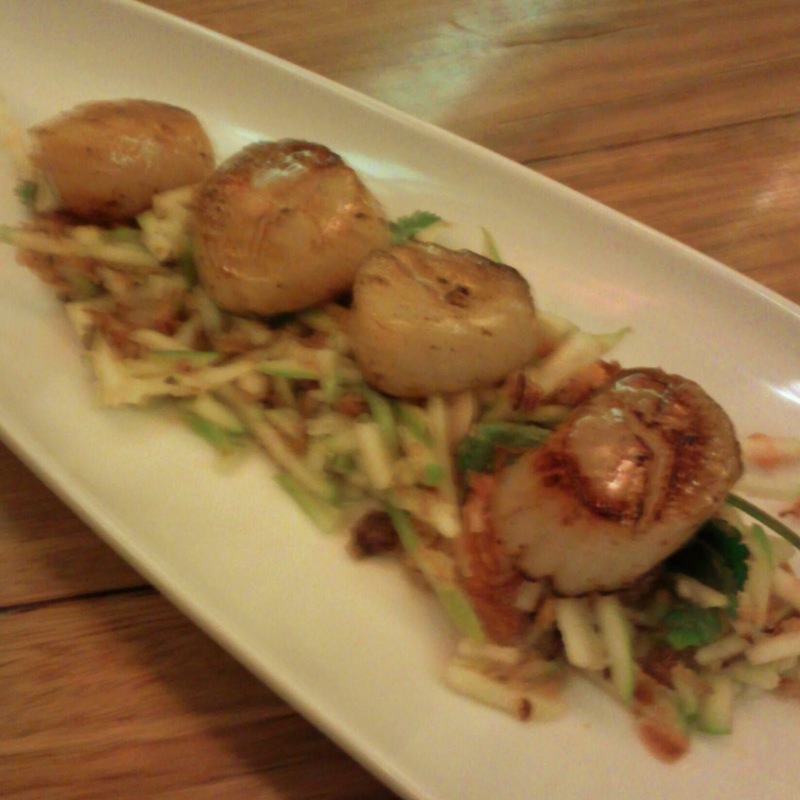 The maple seared scallops were nicely coloured on the outside, but almost disconcertingly rare... The smoked rainbow trout wasn't as prominent in the salad as the crispy shallot and apple or the Nam Jim dressing. The house made red curry was beautifully flavoured and came with a square of marinated kataifi wrapped tofu, winter mushrooms, baby corn, Thai eggplant and bok choi. 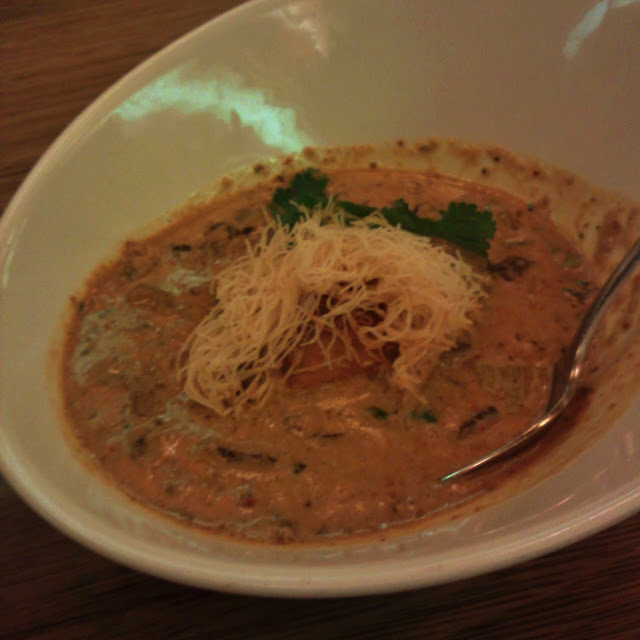 Although this was another small sized dish, along with rice it was nearly the size of a 'standard' main. We were advised to choose the medium sized version of the 'double duck' dish, which would have otherwise wouldn't have been big enough to share. The rice crepe money bag enclosing minced fowl managed to be both light yet filling and rich especially with the thick sweet sauce. The roast duck breast, went well with the black garlic and fried water chestnuts. 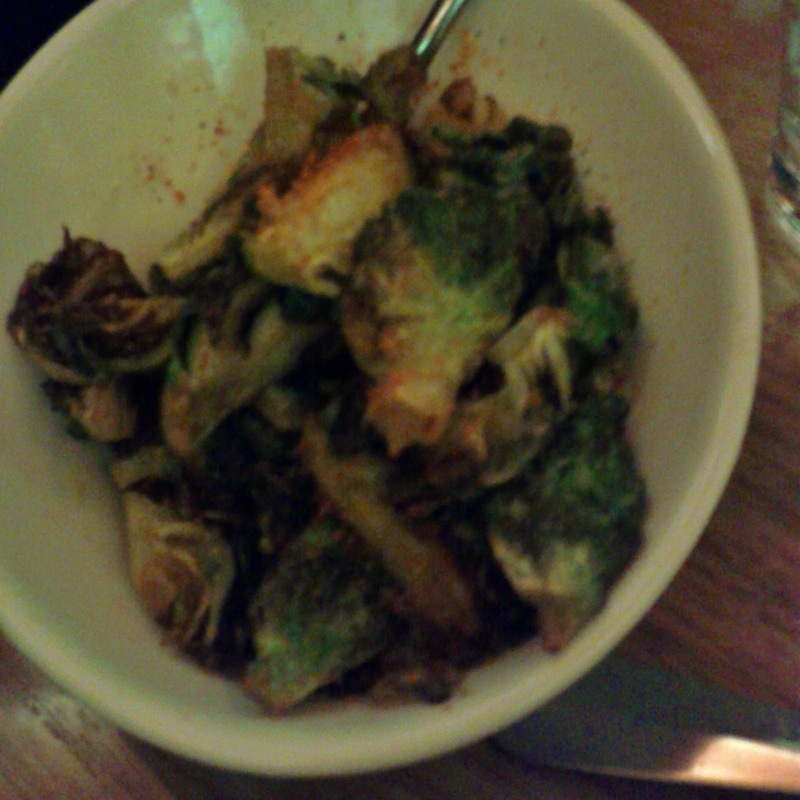 Our side of crispy brussels sprouts arrived towards the end of our meal, the Turkish chili dominating the classic sprout and lemon-miso flavours, good all the same! 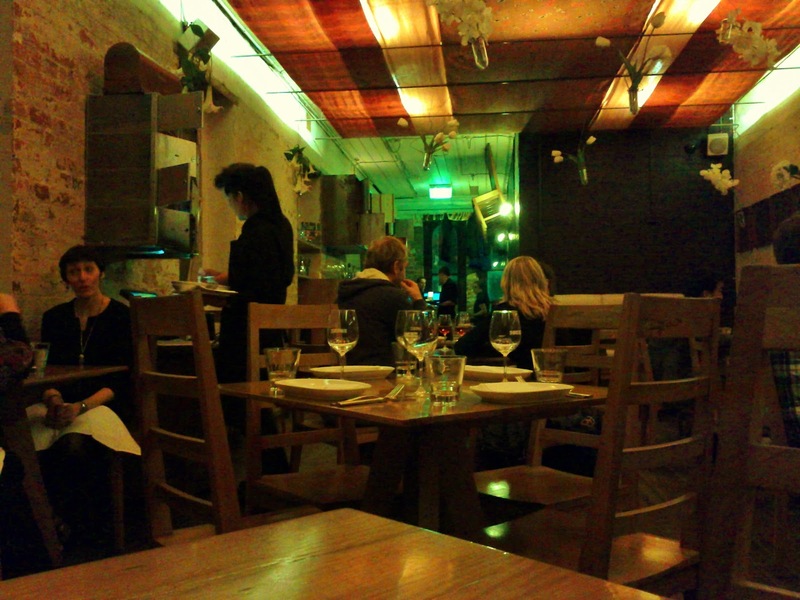 The atmosphere, service and food were all great and the bill with a few drinks came to $80 all up, including the food discount, making it fantastic value, and I'd certainly head back again if another deal came up!